Best quality winter hoodie for kids in Red and yellow color with patterns, quotes and stylish writing patches given on it. Fabric is in very good quality with no lint or fuzz balls (Bhur). Two front side pockets. Comfortably fit, warm and fashionable according to new trends of 2019. It is export quality hoodie in terms of material and stitching neatness. Very light weight but warm and can be wear casually with jeans and trousers. Bright colors especially for kids. Limited quantity available on the basis of first come first serve. 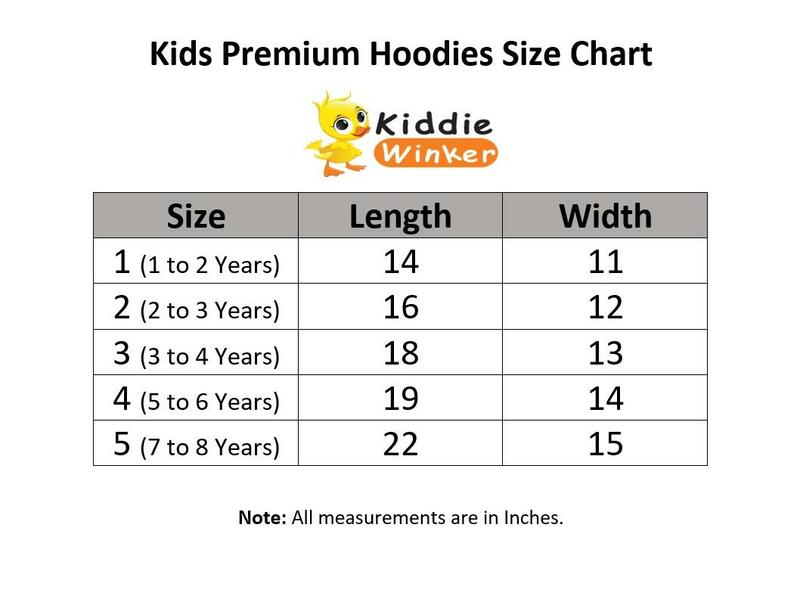 Please check size chart during order, take measurements and get idea from the age of your baby. It is suitable for both baby boy and baby girl / unisex hoodies. Size chart is given below.